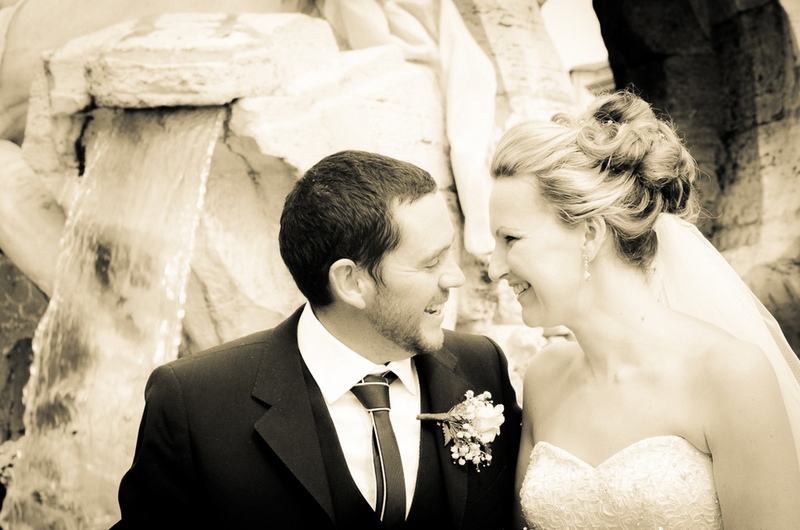 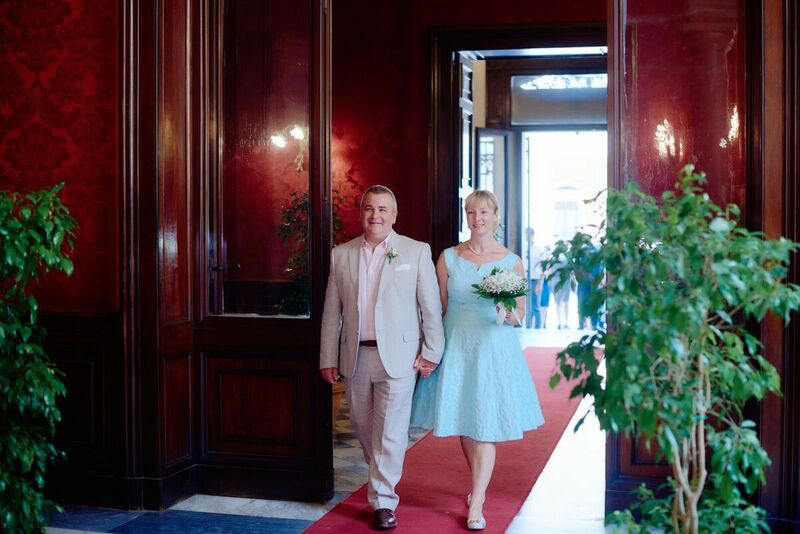 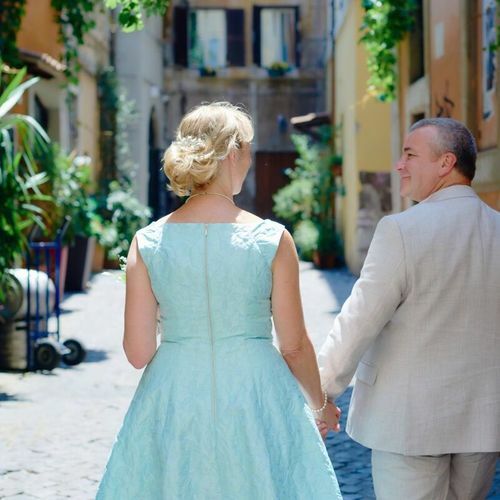 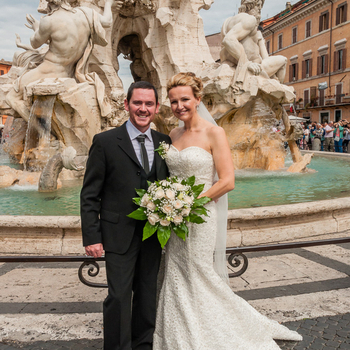 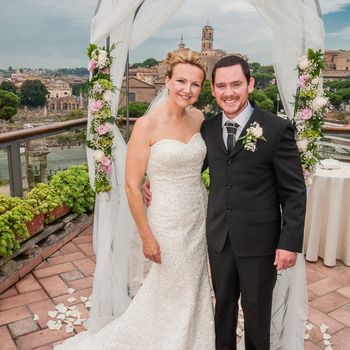 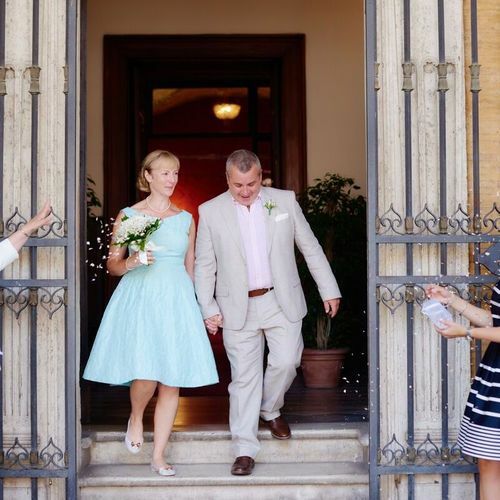 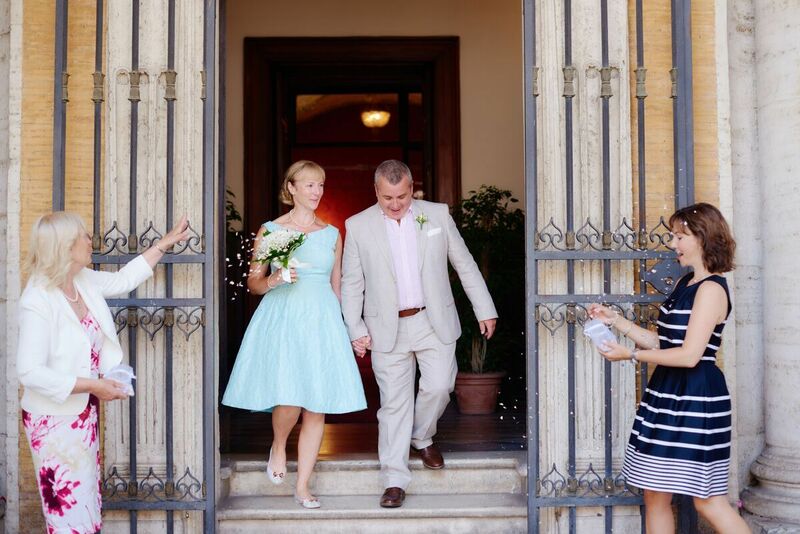 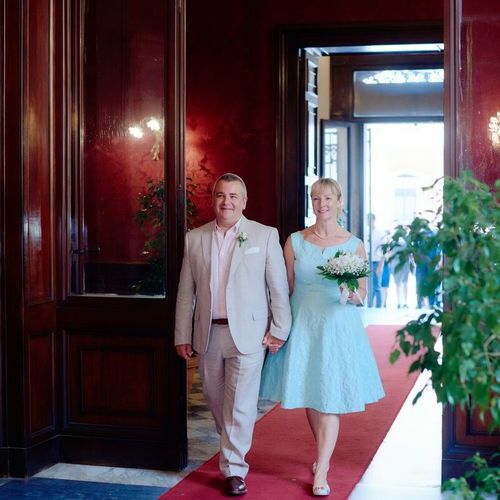 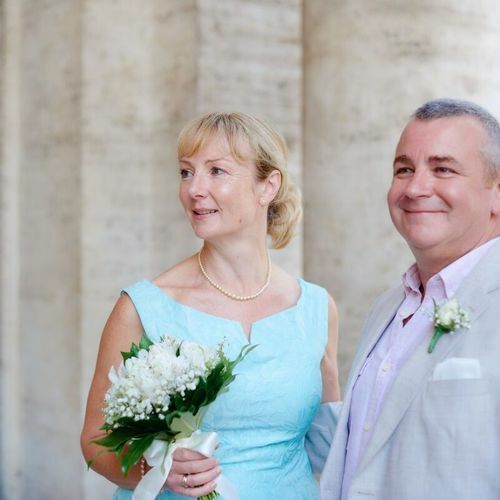 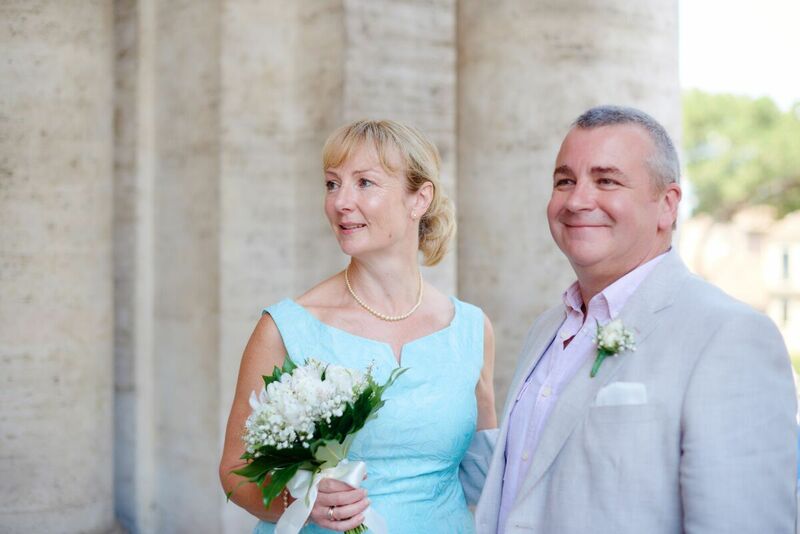 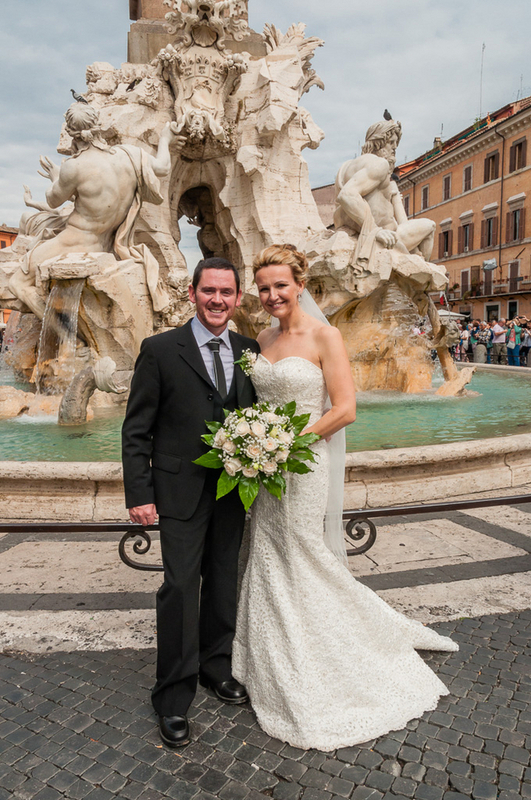 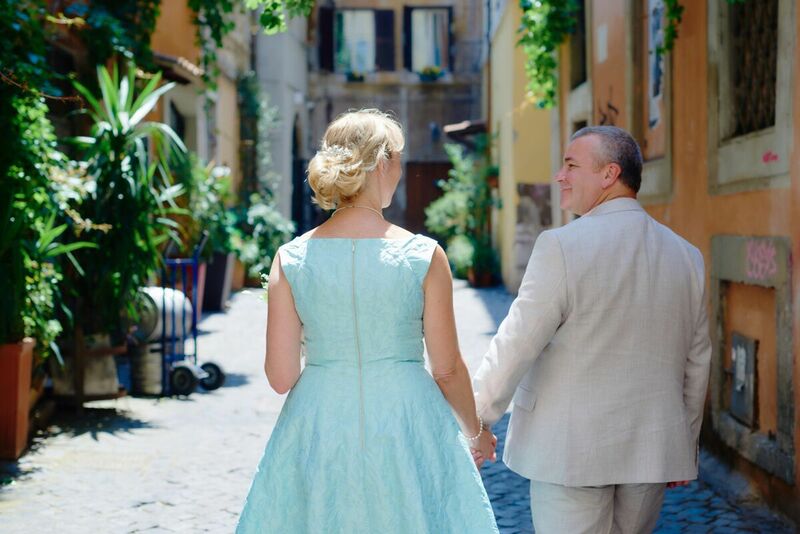 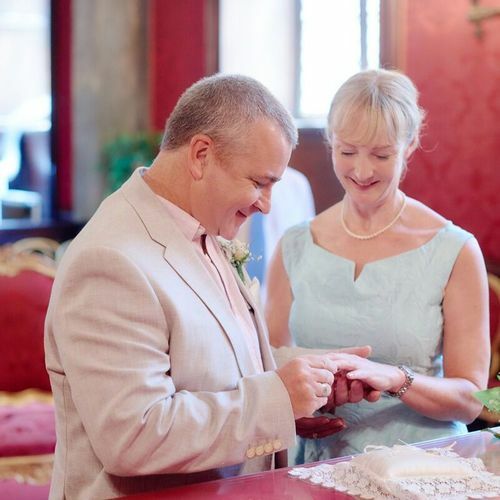 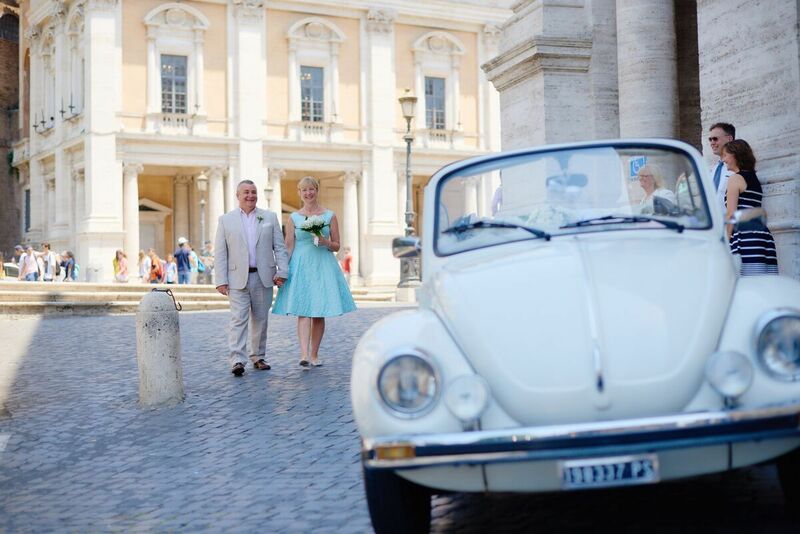 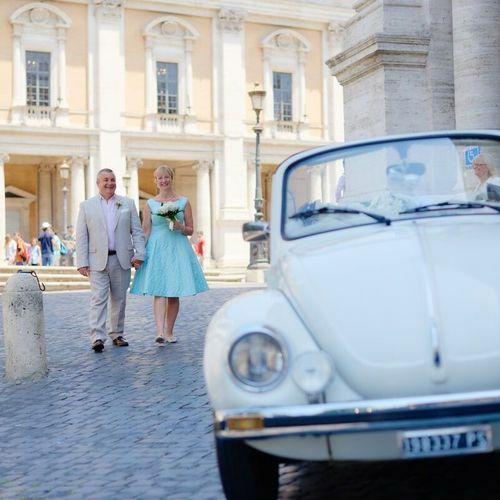 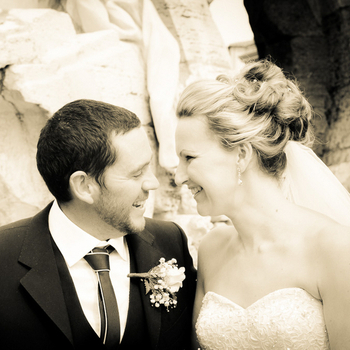 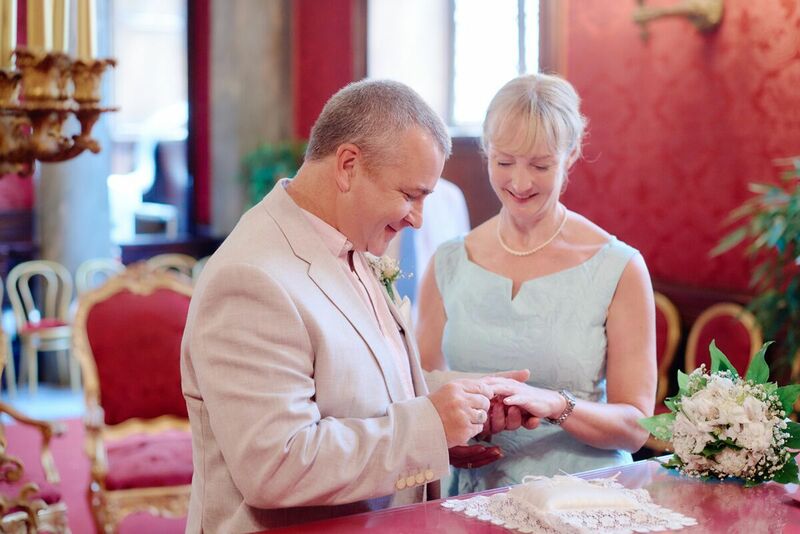 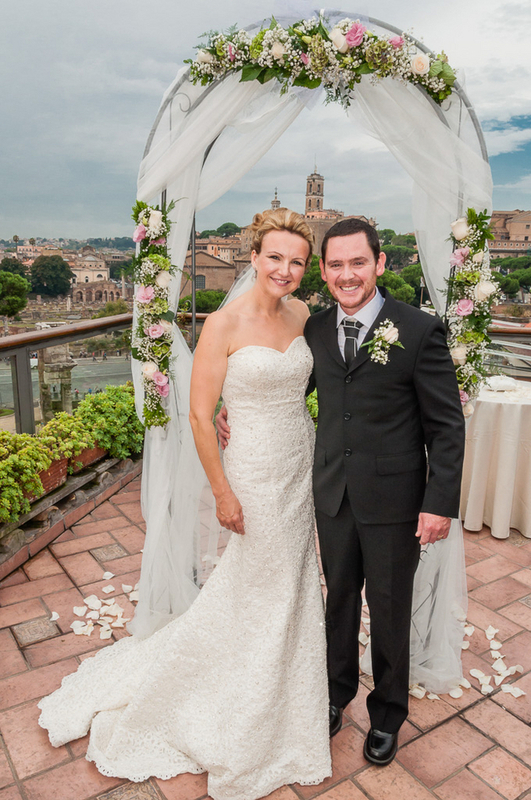 Where could be more romantic than Rome to elope to - just the two of you! 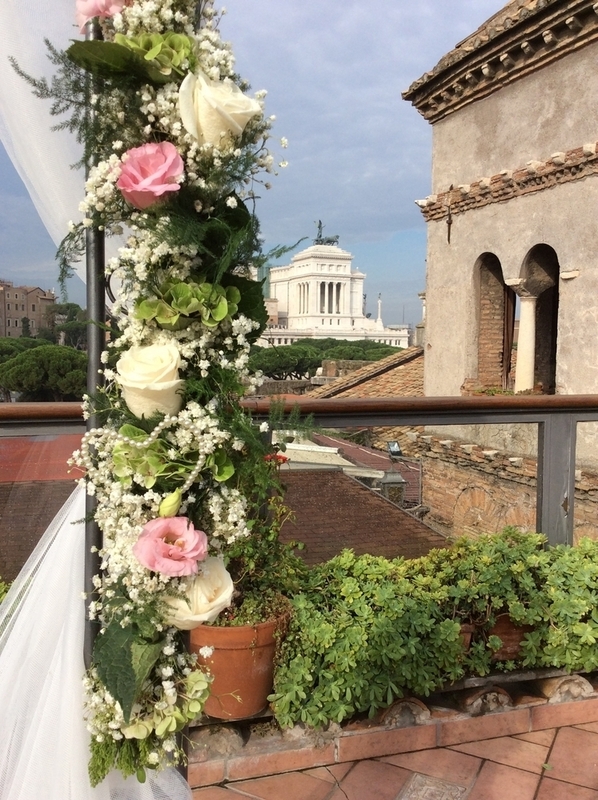 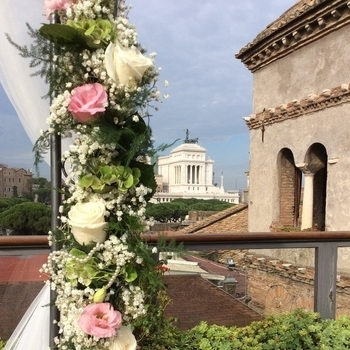 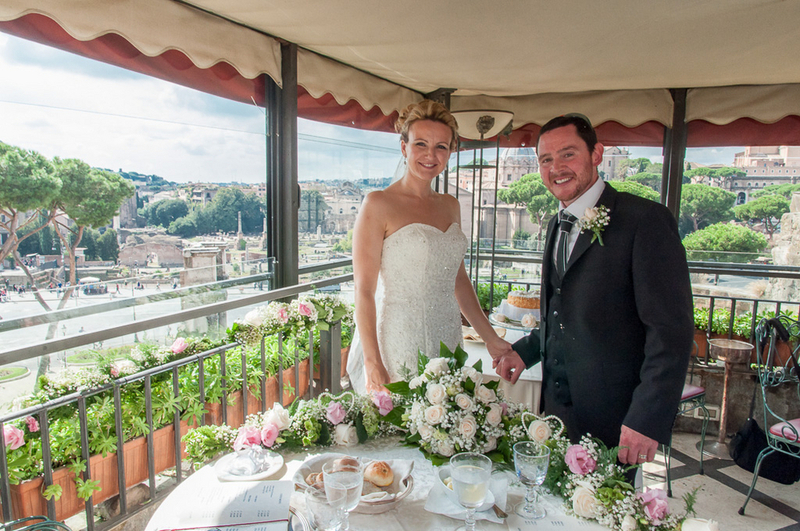 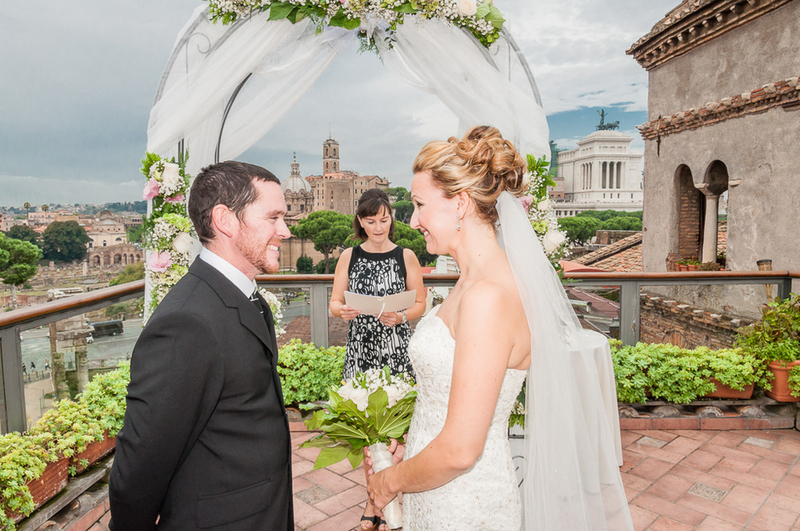 We can arrange a ceremony in a town hall, or a church or even a symbolic ceremony on a rooftop with amazing views of the Eternal City. 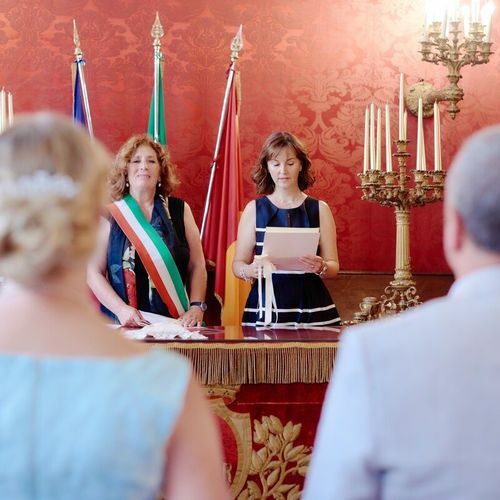 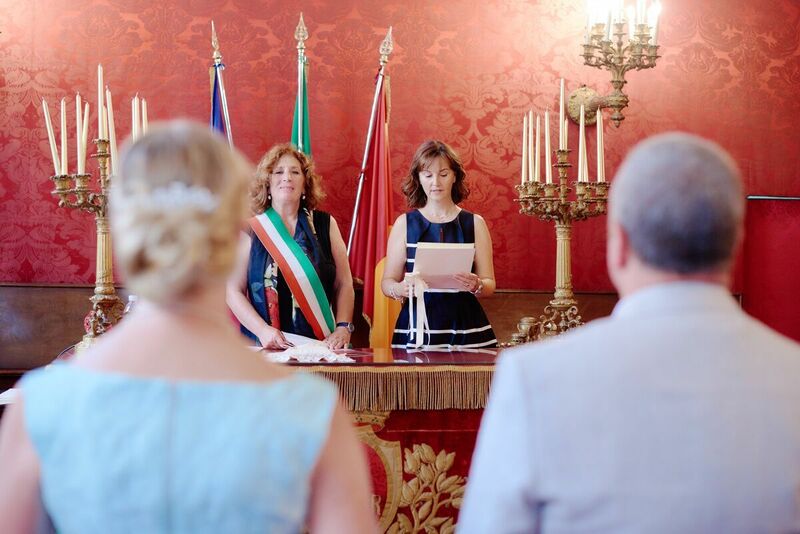 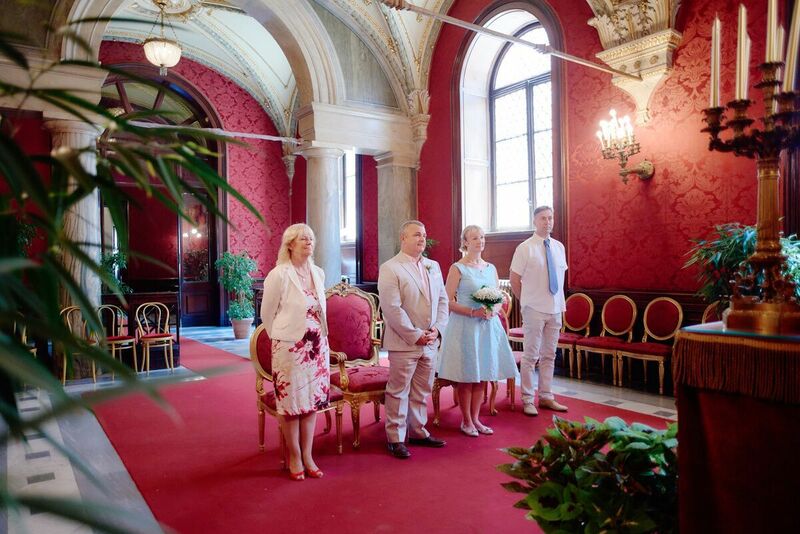 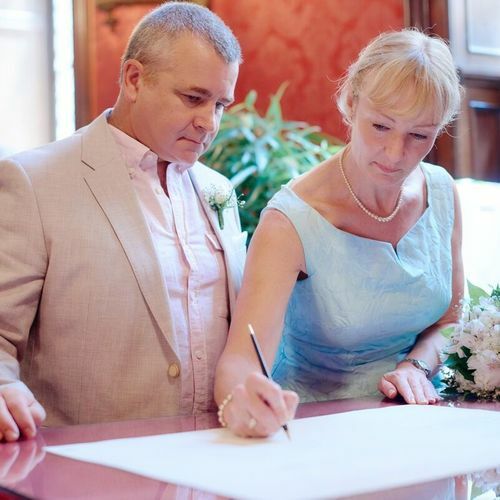 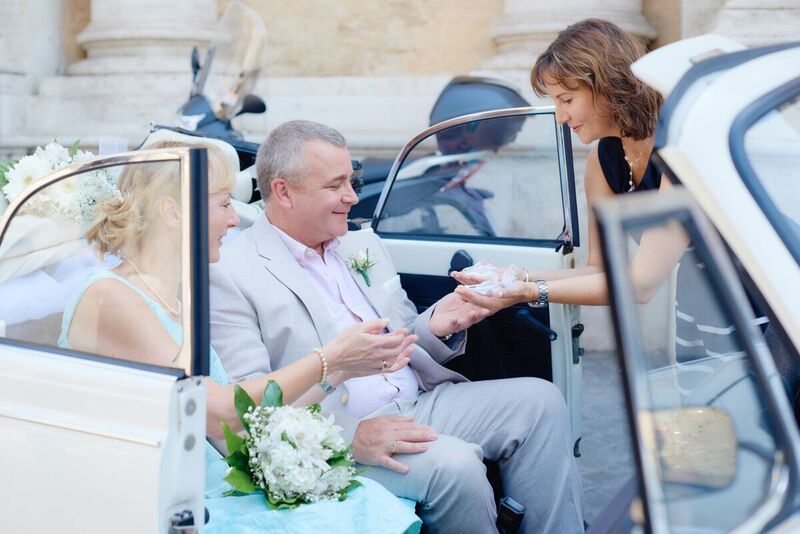 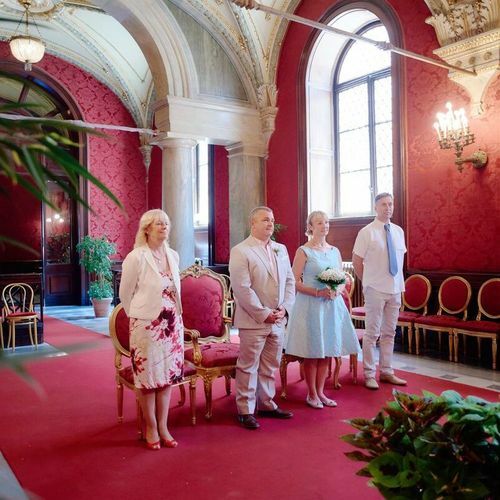 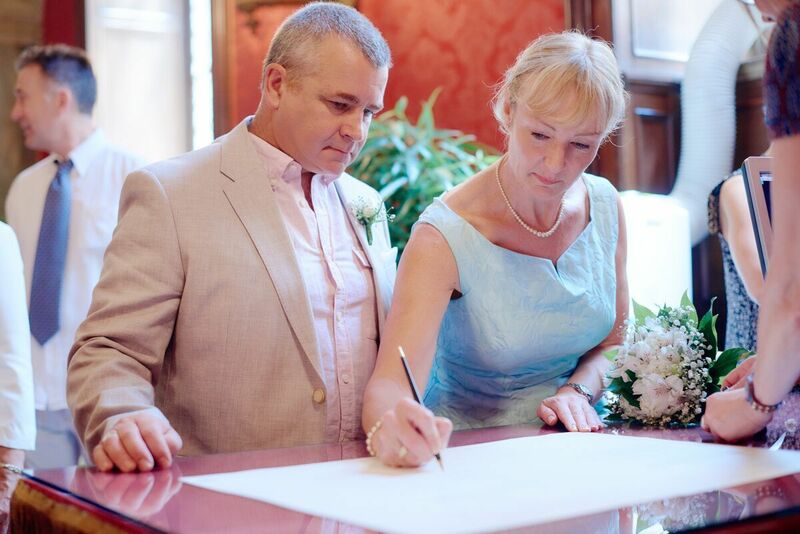 Celebrate with the ceremony of your choice, beautifully decorated with flowers and followed by a sparkling wine toast and then a trip with our photographer and your personal driver around the most famous sights in the city for lots of photos to remember your special day. 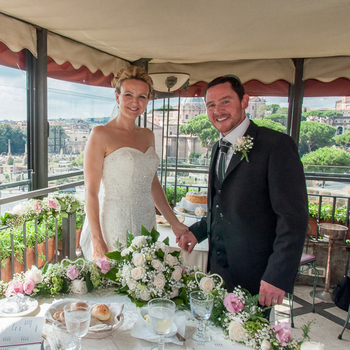 Return to a quality restaurant, even on a rooftop, for a romantic lunch or dinner for two. 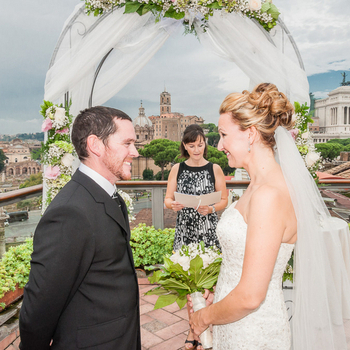 You can still have a wedding cake even if there's just two of you!